Tree Farm copyright by Byong-Ho Kim. 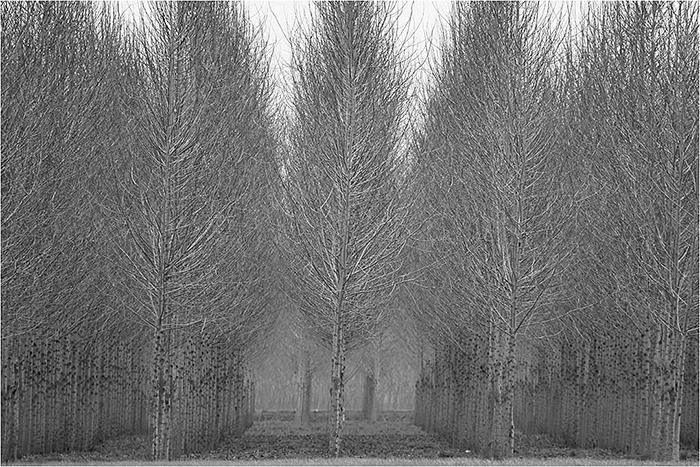 Byong-Ho Kim who has been a longtime member of The Photographers’ Exchange was recognized with an honorable mention for his photo “Tree Farm” at the All Media Show at The Irvine Fine Arts Center. The juror for this show is Doug Harvey who is a Los Angeles based artist and independent curator. Mr. Harvey was the lead critic for LA Weekly for 13 years and is currently the West Coast editor for Modern Painters magazine. The All Media show is an annual juried exhibition open to all Southern California artsits. Per typical of Brad’s work, that is a masterful shot! Congratulations on the award!